Google has expanded its expansive range of memorable Google Doodles with the 78th birthday of musician and inventor Robert Moog celebrated with a fully playable digital synthesizer. Following on from past interactive Doodles such as the infamous Pac Man Doodle and video-based Halloween offering, Google has celebrated the life of Robert Moog, a man who invented the synthesizer back in 1964 before passing away in 2005. 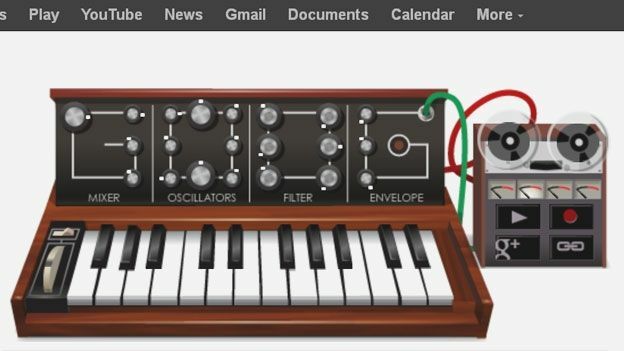 Enabling users to record and share their down digitally altered synth tunes, the latest Google Doodle boasts a fully working selection of volume and effect controls with those visiting Google's search engine homepage today able to click the virtual keys to create true-to-life sounds. Ensuring thousands of man hours are averted from work-based tasks, Google has allowed users of the Doodle based synthesizer to record their makeshift tracks and share their workings via the company's own social network, Google+ or link to their recordings. Have you dropped your own digitally enhanced beats using today's Google Doodle? What is your favourite Doodle to date? Let us know via the T3 Twitter and Facebook feeds.